You are reading page 12 of Special Council Muller Report. If you want to start from the beginning Go to First Page. True, Trumps statement was an exaggeration. However, it’s not a prosecutor position to absolve anyone of anything. They either charge someone with a crime, or they dont. It appears he’s not going to. In your speeding ticket example, it also doesn’t mean that they were speeding. Most of what you have posted today has already been said here. Sorry you’re late to the party, but I don’t have the will or time to restate things that I have already. What statement was an 'exaggeration'? 100 mph +/- 5mph in a 60 mph zone is definitely still speeding. Intentionally obstructing an investigation is still obstructing an investigation even if it's not a straightforward court case. I've read through the whole thread again and can't find where you've supported your claims of no wrongdoing at all by the President, you don't have to restate it but you could just reference where you already said it. I keep hearing how Barr was “handpicked”. How else are AG’s chosen? It's not the 'handpicked' part that is the issue, all AG's are handpicked for their ability and commitment to enforcing the legal principles of the country, not to help the President skirt the legal principles of our country. You must be aware that Limbaugh is not a credible or trusted source for political commentary or analysis. The Daily Wire is nearly within a bias category of "propaganda" according to the tables. 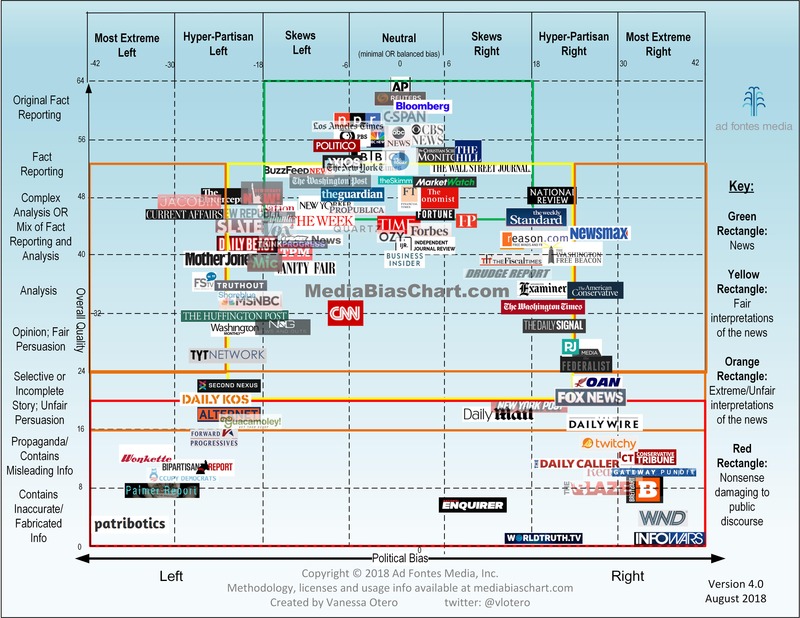 The Media Bias Chart is produced by a left-leaning Colorado transplant from California. Her name is Vanessa Otero. Her chart was funded by a go fund me page. It has been updated and it will continue to evolve. I questioned the chart when I saw where NBC was placed on it and decided to do some research. The accuracy of her chart is like anything else we come across today. Finding absolutely no bias it tough. Gathering valid news in this day and age is challenging. I watched the Muller Report in its full testimony this week. Then I watched various media give their summaries. It has been interesting. Barr stated the redactions will be in black with the reasons for the redactions to be placed below the blackened areas. He stated his four reasons for redactions that will be referred to. He will then go to the floor for questions on the redactions. This is just a small summary of a very lengthy watch. 😂 very lengthy. Hopefully, I will have the ability to watch it live as the events unfold. My own biased mind is enough to deal with without the interpretations of others. It is fascinating times we live in, to say the least. Perhaps I missed it in this long thread, so I thought I would post a link to the original summary. The other links I saw went to the site but not the summary. I thought it would be very difficult to read the legal jargon however I did not think it was that difficult. It is fascinating times we live in, to say the least. You disagree with the bias assessment of The Daily Wire? From your personal assessment, are they an accurate or reliable source? Have you spent much time listening to Rush Limbaugh and do you believe that he is an accurate and reliable source of information? I am really curious about when and where you "Watched the Muller report in it's full testimony". You may be confused and you might want to clarify what it is that you believe you saw on television. I admit I rarely watch Limbaugh. Other than that I frequent a large variety of news source. I questioned the chart due to the placement of NBC news. What are your personal assessments of bias concerning NBC news? Just curious. As I stated earlier, I find it interesting to watch it live then watch for the different interpretations in the media. It is interesting and educational. Again thanks for the clarifications. I am certain that the purpose of the Barr testimony was not full discussion of the Mueller Report and findings. Rather, it was testimony before the appropriations committee to discuss the DOJ budget where Barr was asked some questions relevant to the handling of the Mueller report. I listened to most of hearing while playing with my grandson. I heard the AG renew the right wing rhetoric about spying on Trump during the campaign. It was remarkable. I don't spend much time listening to pundits and analysts voicing their opinions. If I watch an evening news program it is usually Jeff Glor on CBS but I have caught Lester Holt's news programming a time or two. My take is that NBC Nightly News is more reliable than most programming on Fox (Smith and Wallace are often exceptions) and always more reliable than talk radio or Internet celebrities. I posted the full two hours and 30 min. video. Much of the two hours and 30 min. was questions asked of Barr pertaining to the Muller Investigation Report. The full report cannot be discussed in full until the redacted report comes out. How could there be? There I hope that clarifies it for you. Local and state news is discussed on the radio relating to state legislation. They also interview our local and state representatives. I find it to be an important part of being informed. Many stories do not hit mainstream media. Bias or no bias on what they report, I find it alarming what they do not report. Of course, that is a form of bias. I will continue to go to a variety of news sources and am grateful I can. I think much of it has to do with my attitude and what I am looking for. Do I look to become educated with an open mind or do I look to simply discredit? The later in itself is bias. Thank you for the clarification. It is important to not treat the Barr letter as anything beyond a hasty and deeply biased response to the delivery of the Mueller Report. Listening to the hearing was definitely interesting, many of us old retired folks 'live stream' that congressional stuff for infotainment. The major committees often get started around 0900 EST which is 0500 here in my backyard. I am not always awake at that time. Barr was questioned on the methodology of his summary letter in the live stream clip I posted. The people who watch it can come up with the significance of his answers and reach ones personal conclusions. Many Americans do not have time and rely on others for such conclusions. Barr offered Muller the opportunity to read his summary letter prior to its release. Barr is working with members of special counsel on the forthcoming redacted report. I seriously doubt any outcomes will be pleasing. America today is focused on division and negativity rather than solutions and recognition of individual thought and freedom. It's easy to be divided when the highest political office dedicates daily Twitter time to division, reminding everyone that he views Democrats as losers and immigrants as an invasion. 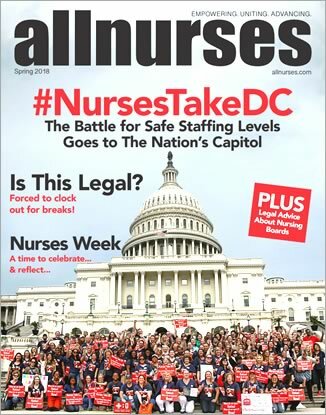 It is nearly impossible to develop pragmatic solutions when the problems are hidden, lied about, and the investigational reporting is kept secret and censored. Do you believe that Congressional Intelligence Committees should receive the unredacted Mueller report? I do.